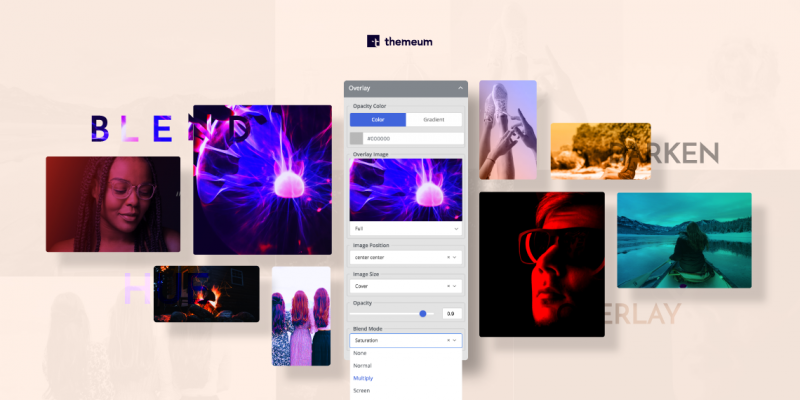 With the release of WP Page Builder, the world has experienced something new for the first time. There is no page builder in the market that provides such a huge collection of addons in the free version. 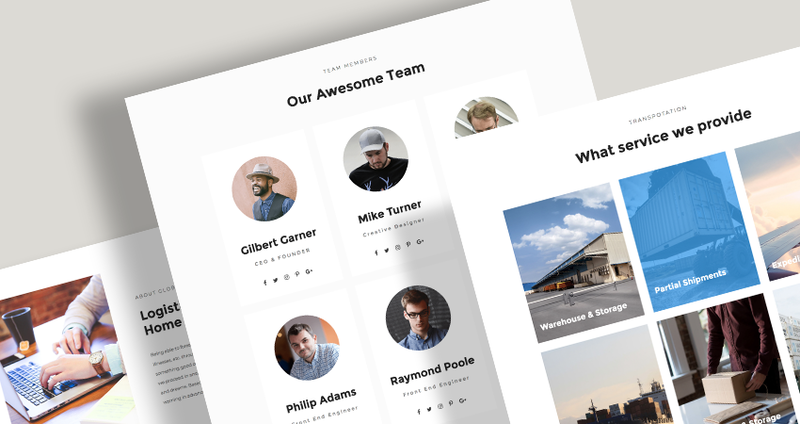 But WP Page Builder is a special one, it offers 30+ addons in both the light and pro versions. Using these addons you can build any page you can think of. But sometimes even the imagination has some limitations. You may not come up with a design idea when you need it the most. That is a terrible situation. Your reputation will be at stake during that circumstance. To save you from that trouble, WP Page Builder offers built-in layout bundles. The free version provides 5 layout bundles at no cost. Until today, there were 15 exclusive layout bundles containing 80+ page layouts in the Pro version. 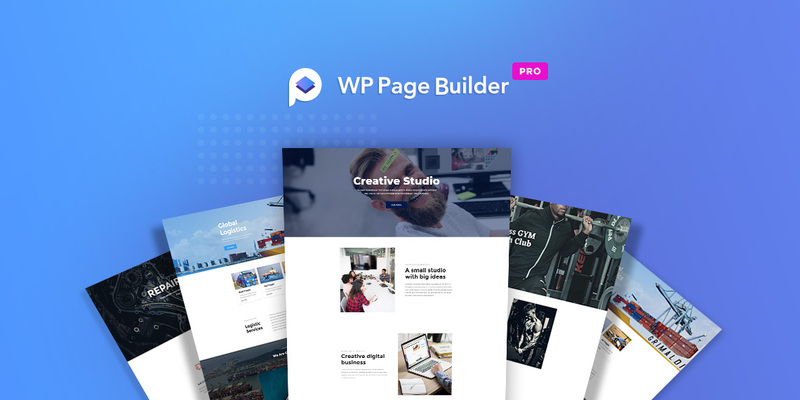 With today’s addition of 5 new layout bundles containing 28 page-layouts, WP Page Builder Pro now has 20 premium layout bundles offering 111 page-layouts. Let’s have a quick overview of the new layout bundles. This package can be used to deliver precise information about a car-repair shop. Its pages are carefully designed to showcase all the services in a clean and clutter-free way. Although the name suggests it’s a car-repairing layout pack, it can also be used for car dealers, break-shops, and mechanics shops. 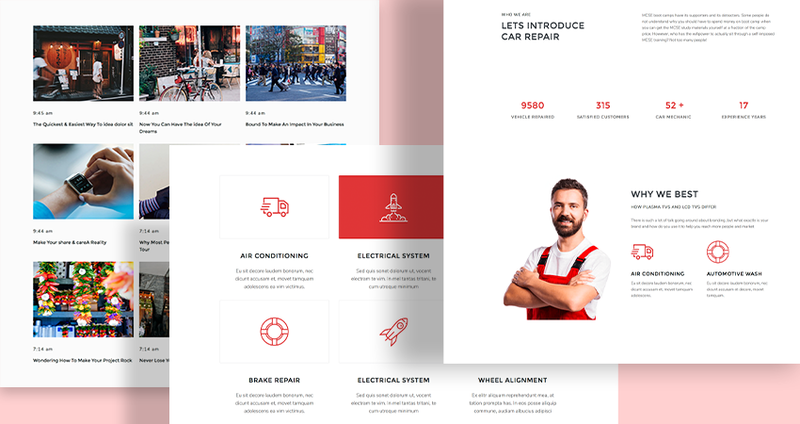 The Car-repair layout bundle includes: Home, About, Service, Blog, and Contact page layouts. 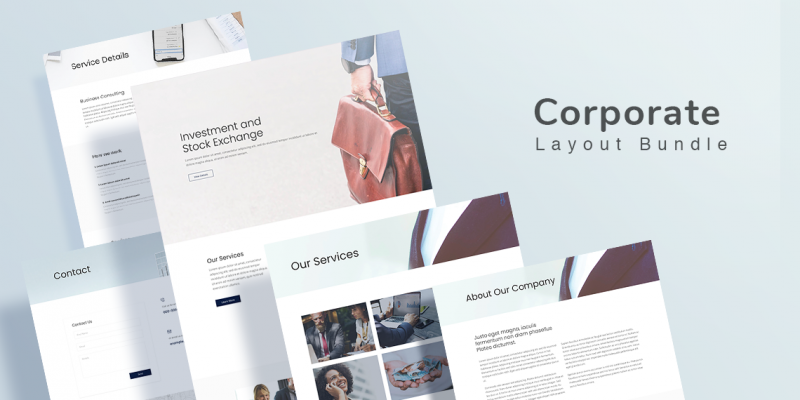 This layout bundle comes with 7 page-layouts. Each of them fulfills their tasks in a perfect manner. You do not need to come up with new design and feature ideas. All you need to do is just replace the contents with your own and your business will be ready to thrive on the online market. The Logistics layout bundle includes: Home, About, Team, Team details, Services, Service details, and Contact page layouts. A beautifully crafted layout pack specially designed for gymnasiums. If you run a fitness club, gym or anything related to work out, you don’t need to worry a bit while creating a website for it. The Fitness Gym bundle provides all the killer features related to this business. On top that, the page layouts are highly customizable so you can add anything whenever you want to. 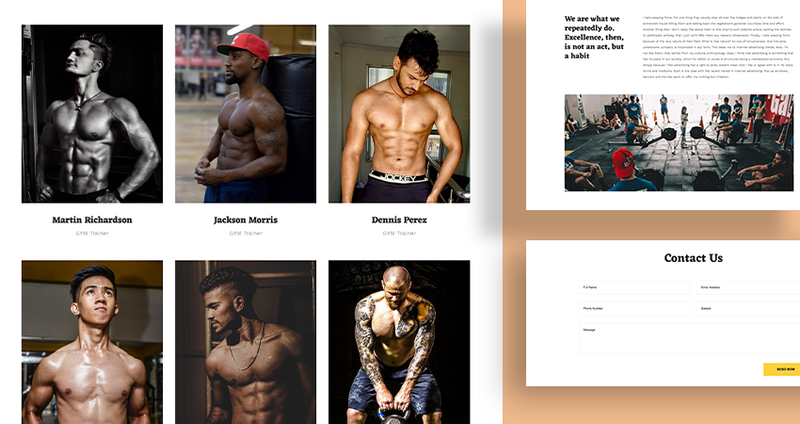 The Fitness Gym layout bundle includes: Home, About, Contact, Program, Program Details, Trainer, and Trainer Details page layouts. As the name suggests, this layout pack is dedicatedly designed for carpentry businesses. In this purpose, you’ll need to show a lot of information about your work including the projects you’ve done so far. This layout pack gives a beautiful representation of all those information and the image showcasing option is just outstanding. 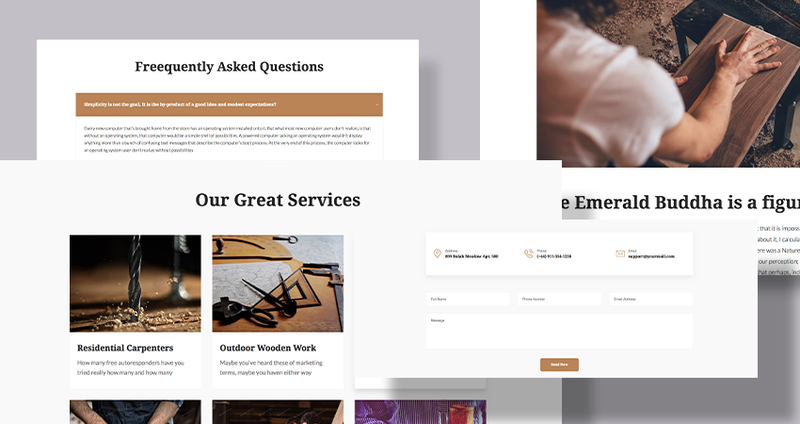 The Carpenter layout bundle includes: Home, About, Team, Team details, Service, Service details, Contact, and Faq page layouts. 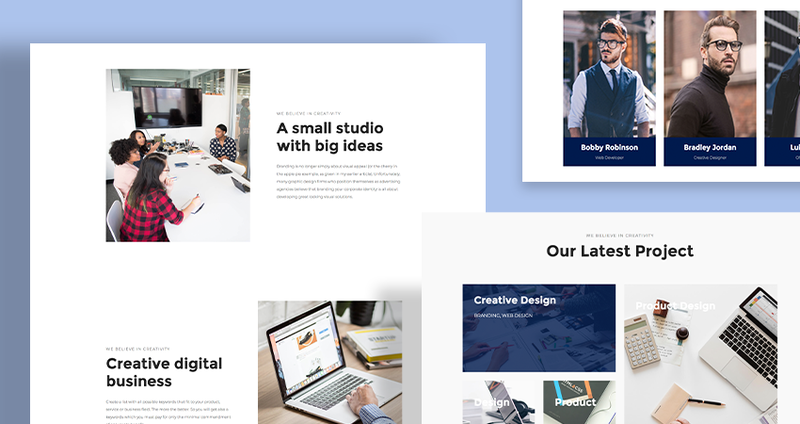 A single-page layout for a creative agency or studio. If you’d like to keep it short and simple, this is the perfect layout for your business. All the necessary details including your projects, clients, team, and contact info are displayed in a pleasant manner. Note: If you’re a Pro user, you don’t need to do anything to get these premium layout packs. Just sit back and relax. All the new layout bundles will appear automatically in the WP Page Builder editor’s layout section. Free users need to upgrade to the Pro version to use these premium layout bundles. 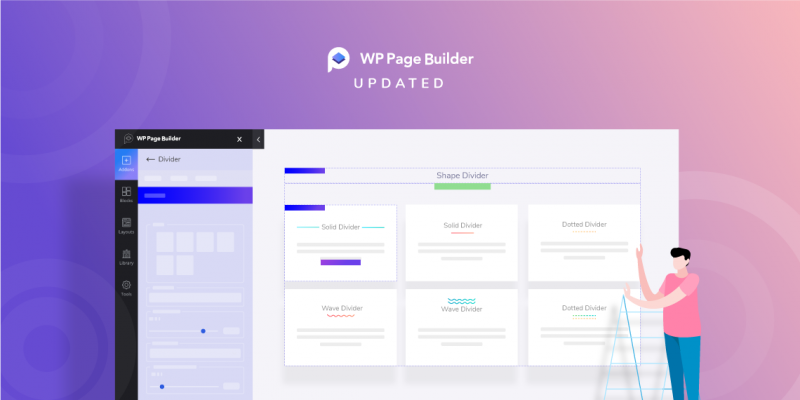 So as mentioned earlier, when you cannot come up with an idea or come short of time or imagination, don’t hesitate to check out the huge collection of WP Page Builder’s layout bundles. It’s the ultimate go-to place for design inspiration and time-saving.